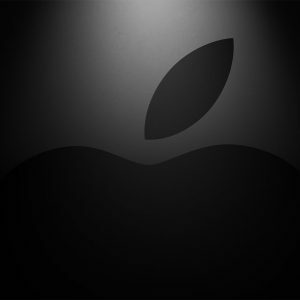 Home / geekspeak / Could Apple’s new iPad be your next productivity laptop? Could Apple’s new iPad be your next productivity laptop? Apple rather quietly announced its latest update to its iPad line this week, along with new colour options for the iPhone 7 and a doubling of storage size for the iPhone SE. But while early rumours had suggested that it would announce a new range of iPad Pro tablets, instead it went a little further back in its history, updating the iPad Air 2 into a device that will simply be known as the “iPad”. There hasn’t been an “iPad” since the very first one, back in 2010. Still, what you get is remarkably similar in some ways to the iPad Pro 9.7 inch model released last year, at least at first glance. Both run on iOS, Apple’s mobile operating system, and both feature 9.7 inch displays, making them remarkably portable. 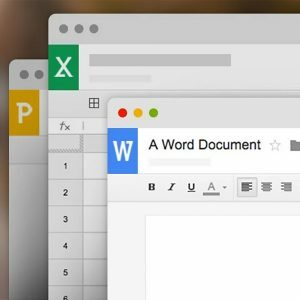 You can connect Bluetooth keyboards to them if you want to type into the expanding range of iOS productivity applications, which includes Apple’s own productivity suite (the apps that used to be called iWork) and Microsoft’s mobile versions of Word, Powerpoint and Excel. The entry level iPad Pro 9.7 inch Wi-Fi only model with 32GB of storage will cost you $849, where the “new” iPad 9.7 inch Wi-Fi only model with 32GB of storage will cost you only $469. That’s an exceptional difference in price, and it’s well worth examining what each model will get you. The iPad Pro 9.7 inch runs on Apple’s A9X processor, where the iPad only gets the A9 processor. There’s a claimed 20 percent or so difference in processing power, which is most likely to hit you if you do use it for either multi-tasking or very intensive applications, a category which also includes some non-productive apps such as graphically intense games. The Pro model is marginally thinner and lighter, but not by all that much to be noticeable. If you care about the numbers it’s 437 grams to the iPad’s 469 grams. If you put a case on the iPad Pro — and at that price you should — you’re going to wipe out that weight difference entirely. If you’re wondering about the weight, it’s almost certainly due to the difference in battery capacity. 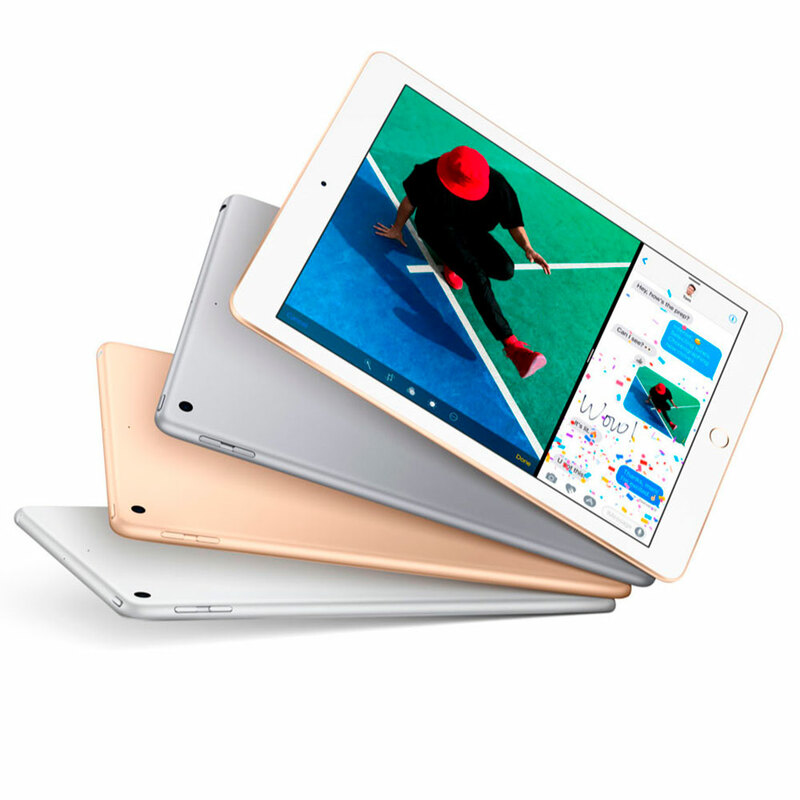 The 9.7 inch iPad Pro packs in a 27.9 watt-hour battery while the newer iPad stacks a 32.4 watt-hour cell. Oddly Apple still reckons they’ll get the same rough battery life. That’s largely because that A9X processor is more power efficient than the A9 is, although realistically the charge you’ll get from them depends entirely on your usage profile. Hammer either and you’ll be looking for a charger before the day is out, but use them moderately and either could be a fine lightweight productivity tablet. The other aspect that the Pro line gets is utility from Apple’s Pencil stylus. 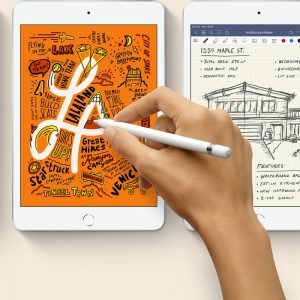 The regular iPad will work with an ordinary rubber-tipped stylus, and those are plentiful, but if you want the use of Apple’s rather more precise Pencil (and not everyone will) you’re stuck in iPad Pro territory, as the new iPad won’t even recognise the Pencil. Rumours do suggest that we may see a refresh of the iPad Pro line, including possibly a 10.5 inch intermediate model between the iPad Pro 9.7 and the much larger iPad Pro 12.9 inch device this year. That may well enlarge the differences between the iPad Pro and the regular iPad lines, but right now, if you simply want into the iPad world, the regular model should do just fine, while the extra price of the Pro lines is really only worth it if you’re a heavy productivity user, especially considering that there are many mid-range laptops available at that kind of asking price.